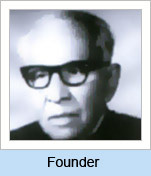 Vidya Bhawan was founded by Dr. Mohan Sinha Mehta along with his close associates Dr. K.L. 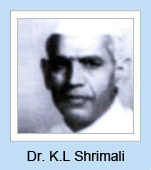 Shrimali and Shri K.L. Bordia in 1931. Ahead of its time, Vidya Bhawan was modeled on the principles of Boy Scout Movement, incorporating the Gandian ideals of Basic Education. As opposed to the feudalistic society, the objective was to provide uncommon education to common children. The aim was to build a responsible citizenry capable of serving and transforming society. Originally started as a modest effort, Vidya Bhawan has flourished into a bouquet of over a dozen institutions committed to quality and excellence in the field of education. Shri Ajay S. Mehta is the President of Vidya Bhawan Society. He did his B.A. from Yale University and his M.Phil. in Economics from J.N.U. He worked in the Indian Railway Traffic Service from 1980-1984. Since then he has been associated with the voluntary sector. 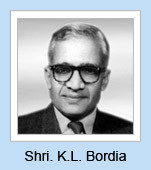 He is currently also President of Seva Mandir, a voluntary organisation based in Udaipur. Vidya Bhawan Society, in its objective of creating a more just, democratic, equitable and pluralistic society, has been catering to the needs of diverse sections of learners; which is reflected in the nature and work of all its institutions. Vision for a Comprehensive Plan for Vidya Bhawan Society and its Institutions .